Contouring made a huge impact in the beauty industry in 2015 and it keeps going upward in beauty trends. But before we move forward in discussing further on what you should know about the basics in contouring. Watch this basic contouring tutorial for beginners from Jennifer Chiu. Basically the two things you have to keep in mind when contouring, the contour and highlights! In this article we’ll cover both to give you the best contouring and highlighting tips that would make you look fabulously like these Hollywood celebrities. Sweep your contour color under your cheekbone using a soft, angled brush. You can find your cheekbone easily using your fingers – the color should go in the hollow just beneath it. At this point the color will look quite strong, but don’t panic! This is where we blend; using your fingers, blend the line upwards. If you blend down, you will lose the height of your cheekbone and your face will just look muddy. Blend the contour color into the hairline. This will help give your skin a healthy glow and disguise a large or flat forehead. To make your nose look straighter, use your fingers to rub a little contour powder along the sides of your nose. Blend well. Don’t go right to the tip of your nose or it will end up looking too thin. If you want your nose to appear shorter, run a little contour along the nostrils. Top tip when contouring: to get that celebrity look, brush a little bit of the contour powder above the inner corner of your eye up to the brow – you’ll instantly see your eyes look more defined and really pop! Highlighter reflects the light well, so only apply it to the places you want to draw attention to. Sweep it above the cheekbone, along the brow bone and down the center of your nose to give the impression of a rounded surface. TOP TIP: to make your cheekbones really stand out, using a large powder brush, sweep a loose face powder like my INVISIBLE VEIL POWDER along the lower jaw, under where we’ve applied the contour for the cheekbone. 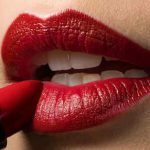 When using powder products for this technique, start by applying your primer, followed by your foundation (preferably powder foundation, lose or pressed). Once this is done, apply your contour color onto the regions depicted in your designated face chart below. 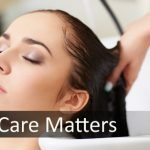 When using liquid products, the application process becomes a bit more involved on your behalf. Start by priming the skin, followed by your foundation (only if using cream or liquid). Once foundation is well blended on your face, start applying your contour color to the regions depicted on your designated face chart below. 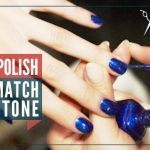 Apply the powder product in swiping motions, using a light hand as you do so. Next, apply your highlighter, applying it the same way as you did with the contour color. Then, using a blending brush, buff the contour color into the skin, working it in circular motions. Once this is done, apply your highlight color under the eyes, down along the sides of the nose, and outwards onto the apples of your cheeks, and up towards the temples. Envision a right-triangular shape under your eyes, and on your cheeks. Now, with your clean blending brush, buff this out, starting from the sides of your nose, and outwards towards the temple, using circular motions. For this process, you may also use a blending sponge to create a more natural coverage and to lessen the appearance of lines or streaks. This last step is optional depending on the look you’re going for, but set your contour with a nice bronzer, using a light sweeping motion, and set your highlight with a loose translucent setting powder. 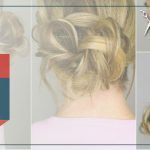 Either you are trying to go for a subtle or full contouring, the very most important technique in this whole process is doing what you love by experimenting on different hue and products. As long as the outcome doesn’t look worse than a mess, you don’t actually need to be an artist to look glamorous. Well, unless there’s a particular event you need to attend to. Always remember that the basics are art itself and try to have fun while trying out your own style of contouring and highlighting. Who knows? You might be the next Joanna Simkin. 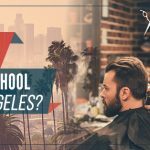 What Should I Look for in a Barbering School Near Los Angeles?